One of our pillars is educational excellence focused on practical applications to empower leaders prepared for the global scenario. To this end, we rely on a Faculty Advisory Committee which helps us enhance innovation in education as well as our responsibility to deliver to the market professionals who own their careers, entrepreneurs with a broad social and economic vision, and conscious citizens. 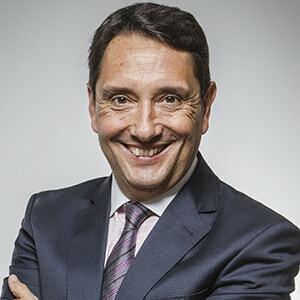 Head of Strategy and Innovation of Locomotiva Instituto de Pesquisa, Independent Professional Advisor to corporations such as Camil Alimentos, Aramis, Par Corretora and GSA Aliments and CI-Central Intercambio. 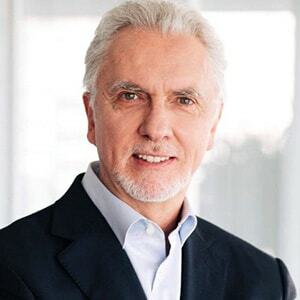 Also professional coach to several corporate CEOs and Certified Facilitator of YPO-WPO. Author with 8 business-related books published Business Administrator, studied at Harvard Business School, London Business School and at the IMD of Lausanne, Switzerland CBN radio columnist, has thirty years of experience as a Member of its Board. As a journalist, Sardenberg is the anchor of the CBN Brasil program aired by CBN, and contributes as a commentator on the economy on programs aired by CBN, Globonews and TV Globo. Also writes a column for the O Globo newspaper. Lecturer on the subjects of politics and economic policy and administers the site www.sardenberg.com.br, providing information and comments on the economy Has written books such as “Neoliberal. Não. Liberal.” And “O assunto é dinheiro”. Graduated in Medicine, with specialization in Human Physiology and reference in Corporate Education. Started career in 1971 working as a professor, pedagogical coordinator, school headmaster, entrepreneur in the area of education in the states of Paraná and Santa Catarina. 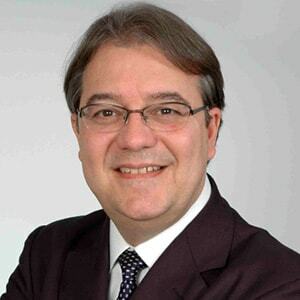 Also specialist in Business and Systems Analysis with diploma from FAE Business School; member of ABRH – Associação Brasileira de Recursos Humanos (Brazilian Association for Human Resources) where he held the positions of Board Member, Director of Research and Coordinator of Revista Melhor – Gestão de Pessoas. Member of the steering committee of CONARH – Congresso Brasileiro de Gestão de Pessoas. Responsible for the Chair of Philosophy and Education. Ph.D. in Philosophy of Law and in Communication and Semiotics. At the age of 19, served as an alderman and president of the city council of Cachoeira Paulista. 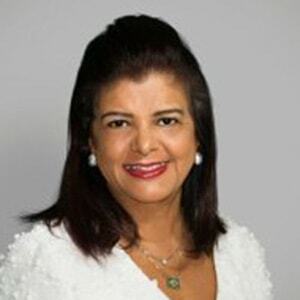 President of the Conselho Nacional de Secretários de Educação – Consed, the National Council of Secretaries of Departments of Education at a State level, served as alderman for the city of São Paulo, and as a congressman. Currently Municipal Secretary of Education for São Paulo, member of the Academia Brasileira de Educação and Academia Paulista de Letras, and lecturer. Author of over 70 books. Responsible for the Chair of Retail. Received Law degree from the Franca School of Law and degree in Business Administration. CEO and owner of the store chain Magazine Luiza. Starting working with this retail group at the age of 12, during school holidays, gaining experience in all sectors until reaching the top position. Member of the Conselho de Desenvolvimento Econômico e Social (CDES). Responsible for the Chair of Innovation, Internet and Journalism. Graduated in Civil Engineering from USP, University of São Paulo, is a journalist, actor, screenwriter and TV presenter. Has worked at TV Cultura, participating in the programs Rá-Tim-Bum, Castelo Rá-Tim-Bum and Vitrine; at TV Globo, with Vídeo Show and Telecurso 2000; worked as anchor of the program CQC, at TV Bandeirantes. Currently presents the program “Papo de Segunda” on GNT, is a columnist of the Sistema Globo de Rádio and author of “Blog do Tas” on UOL. Lectures on the aspects of the virtues, opportunities and collateral effects of the digital era. Responsible for the Chair of Communication, Publicity and Advertising. Degree in Business Administration, started in the advertising business as a copywriter. Has worked with the major advertising agencies in the country, such as Artplan, DPZ and W/GGK. Among other awards, received the Golden Lion in Cannes in 1988 with the commercial “Hitler”. 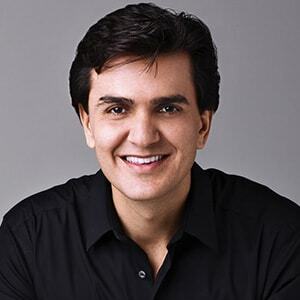 Named by the Financial Times as one of the five most influent Brazilians worldwide, and one of the 100 most creative people in business, according to the magazine Fast Company. 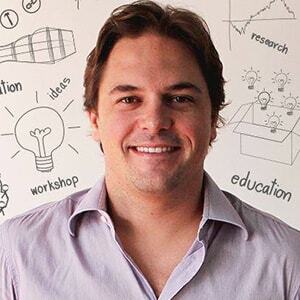 Also considered, by Exame, as one of the 16 Brazilian entrepreneurs most likely to make history. In 2014, was elected for the third consecutive year the most credible publicist in the country, according to the magazine Seleções and the Ibope polls, and named Man of the Year in the category of Leadership, by the publication GQ. Responsible for the Chair of Economics. 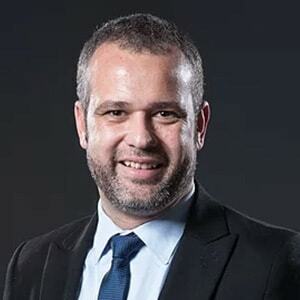 Master´s and PhD from the University of Paris, Octávio de Barros has worked as an invited economist for the Banco Central do Brasil, consultant of the development bank BNDES, vice president of the Conselho Regional de Economia in São Paulo. Currently, works as an economic advisor to the Bradesco bank, where he was in charge of economic surveys between 2003 and 2016. 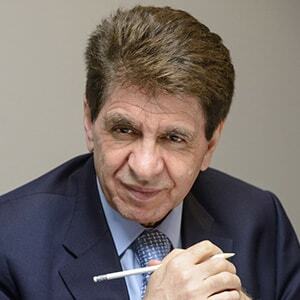 In addition, is head of Instituto República, vice president of the Brazil-China corporate advisory Board, of the Brazil-France Chamber of Commerce, and member of the advisory Board on economy for Fiesp - the Federation of Industries of the State of São Paulo. Responsible for the Chair of Personal Communication. Reinaldo Polito graduated in Economic Sciences and Business Administration, and has a Master’s in Communication Sciences. Professor of Speech Communication, lecturer, writer and, since 1975, has been teaching oratory and public speaking skills to executives, politicians and other professionals Also contributes as a columnist to UOL, at Radio Transamerica and Radio USP. 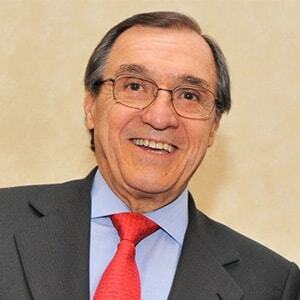 Founding member of the Academia Araraquarense de Letras, President of the Academia Paulista de Educacao and of the NGO Via de Acesso, has published books in Spain, Colombia, Italy, Portugal, Mexico and Russia. Responsible for the Chair of Consumer Surveys and Behavior. 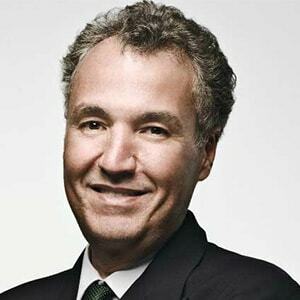 Holds a degree in Advertising, is president of Locomotiva, was president of Data Popular and was a member of the commission which, in 2012, made an analysis of the new Brazilian middle class for the Department of Strategic Issues of the President´s Office, during the government of Dilma Rousseff. Was a collaborator in the book “Varejo para Baixa Renda” and author of the following publications: “Guia para Enfrentar Situações Novas Sem Medo” and “Um país chamado Favela”. Columnist for the magazines Brasileiros and Exame.com. Responsible for the Chair of Design Thinking. 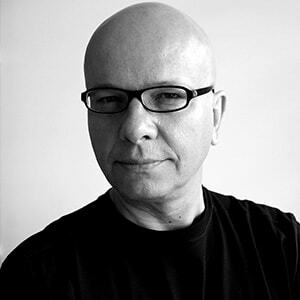 Ricardo Ruffo is co-founder and director of Echos – a laboratory of innovation, and co-founder of Escola Design Thinking. Currently leads the international expansion of Echos into Australia and Portugal. Works as a consultant and speaker on subjects such as: Innovation, Entrepreneurism, Business Design and Growth Hacking. Specialist in Entrepreneurism and Innovation, with extension courses in renowned institutions such as MIT and Berkeley in the US. Also specialist in Social Innovation at the School of Visual Arts and Design Thinking at the HPI – D. School in Potsdam, Germany.